Classroom has made it easy for teachers to set up courses in GitHub, the open-source service that allows developers to share and collaborate on code. So far, according to the organization, some 3 million assignments or "repositories" have been submitted to the platform. Now, GitHub has released Classroom Assistant, a tool intended to help streamline the grading process for teachers using Classroom. 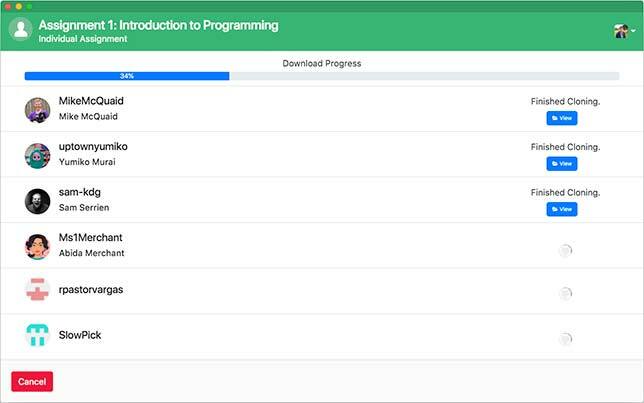 The utility allows instructors to download all of their students' GitHub-hosted work, saving them the time it would take to clone each repository manually. The program works on Windows, macOS and Linux, as does the entire education platform. As with Classroom itself, the new function lets students submit links to their assignment repository to the school's learning management system. Teachers can give feedback through comments in GitHub while still keeping grades in the LMS. GitKraken added Glo Boards, its issue and task tracker, to help students stay on top of school work.